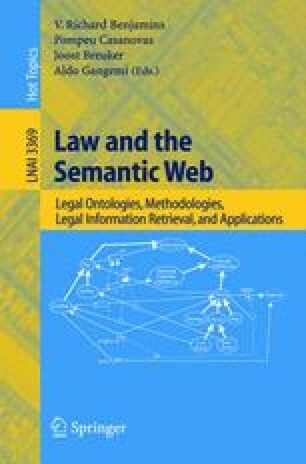 The increasing development of legal ontologies seems to offer interesting solutions to legal knowledge formalization, which in past experiences lead to a limited exploitation of legal expert systems for practical use. The paper describes how a constructive approach to ontology can provide useful components to create newly designed legal decision support systems either as local or Web-based semantic services. We describe the relation of our research to AI&Law and legal philosophy, the components of our Core Legal Ontology, the JurWordNet semantic lexicon, and some examples of use of legal ontologies for both norm conformity and compatibility. Our legal ontologies are based on DOLCE+, an extension of the DOLCE foundational ontology developed in the WonderWeb and Metokis EU projects.